With access to healthcare, MDCs tend to spend more infesting in public health than possible in LDCs. This is done at the governmental, private business, and individual level. In MDCs, there is a much lower ratio of nurses or doctors to patients than in LDCs. Because of this investment in health, the life expectancy in MDCs is much higher. Men tend to live 10 years longer than those compared to LDCs; women can expect to live 13 years longer in MDCs than in LDCs. There is a gender issue related to this too. In MDCs, men tend to live 10 years longer than women LDCs. But higher life expectancy comes with a price too. People tend to work longer into their life, preventing advancement of younger generations. The longer life expectancy through retirement also means that social programs must support an aging population. Children also tend to have a higher survival rate, called infant mortality rates, in MDCs than in LDCs. 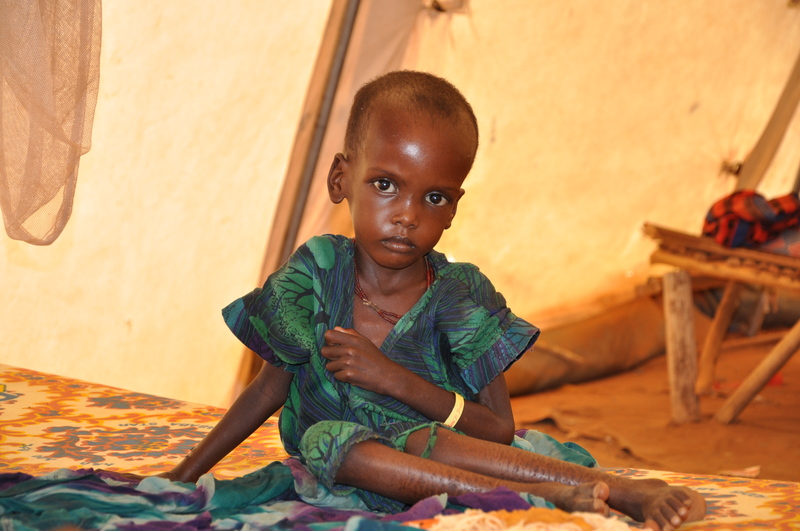 In MDCs, the survival rate of children is near 99 percent, whereas in LDCs the rate is around 94 percent. Children tend to have higher mortality rates in LDCs because of malnutrition, starvation, dehydration, disease, and lack of access to health services and professionals. Do you think there are more men or women on the planet? 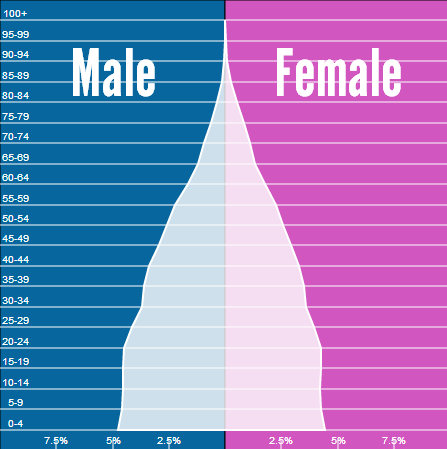 Well if you look at the population pyramid on the left, you'll see that women just outweigh men in population size. But what if the "data" doesn't really meet the realities on the ground? 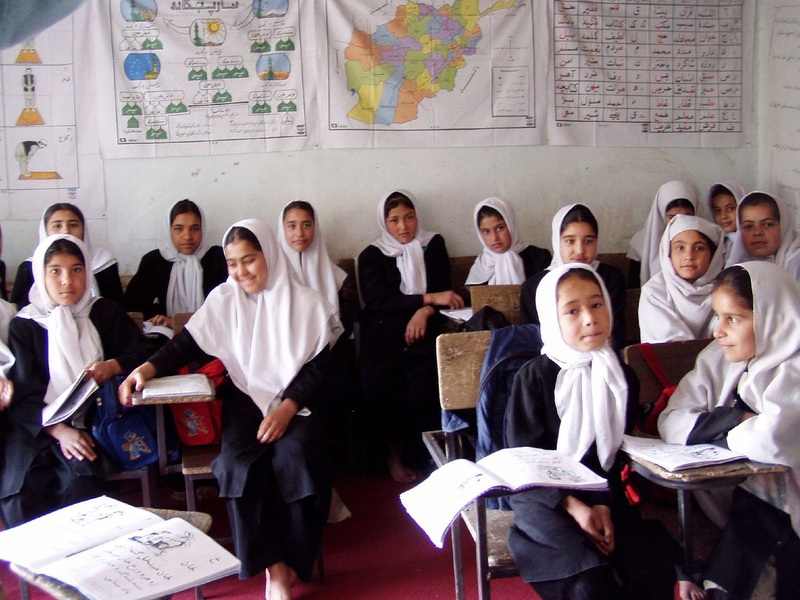 It is believed that between 60-100 million females were born in the current population, but have now disappeared of the planet, a concept called gendercide. This model of development prides itself in more equal distribution of resources to a nation's people and businesses over foreign entities and investments. But there are several critics of this form of development because they argue that this model protects inefficient businesses and does not reward competitive and highly efficent ones, requires a large bureaucratic government to administer this model of development and limit abuse and corruption, and does not receive the benefits of rewarding foreign corporations that could provide goods and services to countries with limited resources.